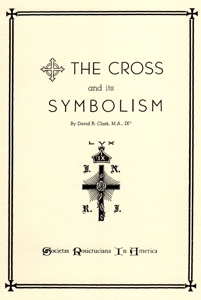 A scholarly brochure, valuable to students of the Symbolism of the Cross. Reproduced for the Societas Rosicruciana In America from the Transactions of the Newcastle College, Societas Rosicruciana In Anglia (England). Privately printed by order of the Newcastle College in Newcastle-on-Tyne in January 1894.